The printable files for the 3 book covers were free to my subscribers until 10/10/2018. Now they are available to purchase in the shop. Make sure to subscribe so you will be notified of new freebies! 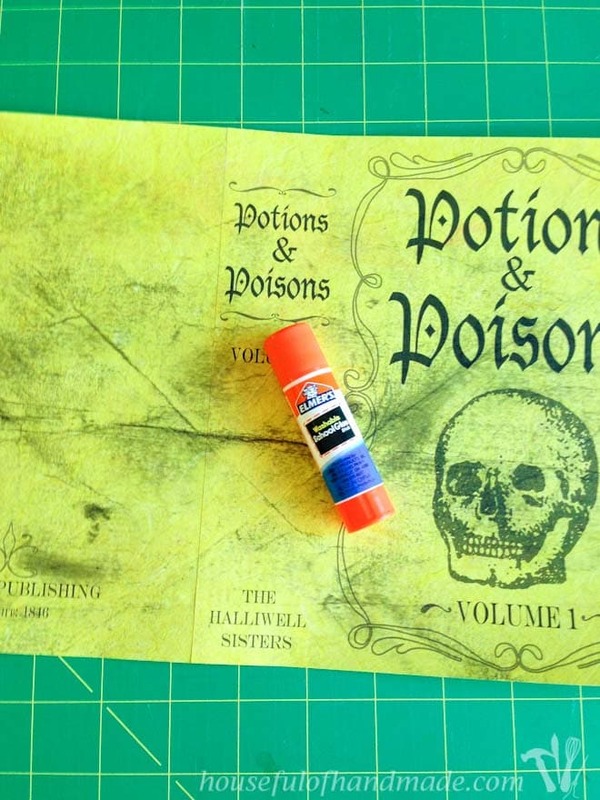 I made the file for these Halloween book covers a little different than normal so they will be easier to scale to fit your book. Each book is made up of clipart files (PNG) instead of PDF files. 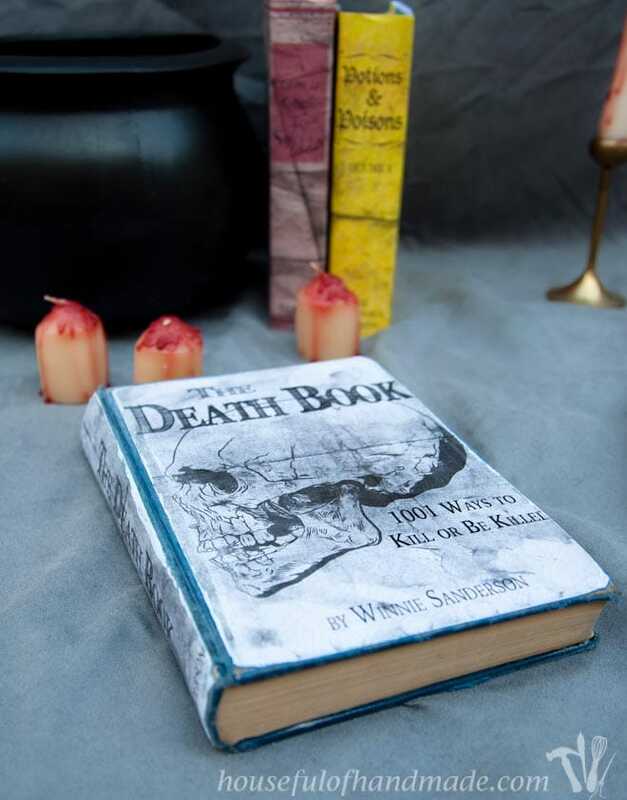 There are 5 files for each cover: a front flap, front cover, spine, back cover, and back flap. You can scale them to the size you need, then put as many as you can right next to each other on the page. For the smaller book, I got it all to fit on 2 pages, for the bigger one had to split it between 3 pages. To put them together, cut the covers out leaving a strip of excess paper where you need to glue them together to make one continuous piece. Make sure to assemble it together backwards so the front cover will end up on the front when assembled. The front will be on the right side, and the back on the left. I put mine together with a healthy dose of classic school glue. Let them dry completely. I got a little excited and found that the glue doesn’t hold that well if they aren’t allowed to completely dry. 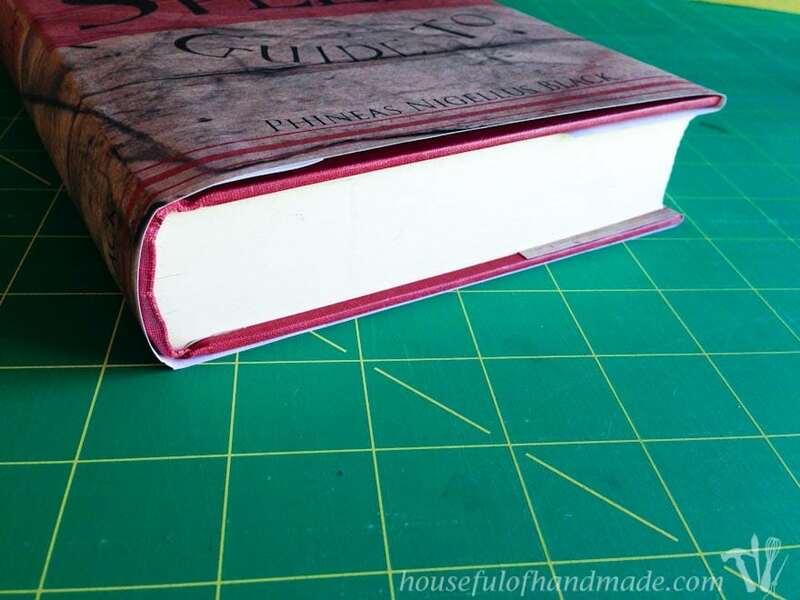 So use heavier glue if you are impatient like me 🙂 Then fold the covers around the book. I put it on the book to get my creases in the correct spot, then pulled it off to give the creases a little more oomph! Now you are all done and ready to decorate. So easy! And you can put these on any book, not just old beat up ones you find at the thrift store because the covers are removable. For the last book, I used this idea from Craftaholics Anonymous. 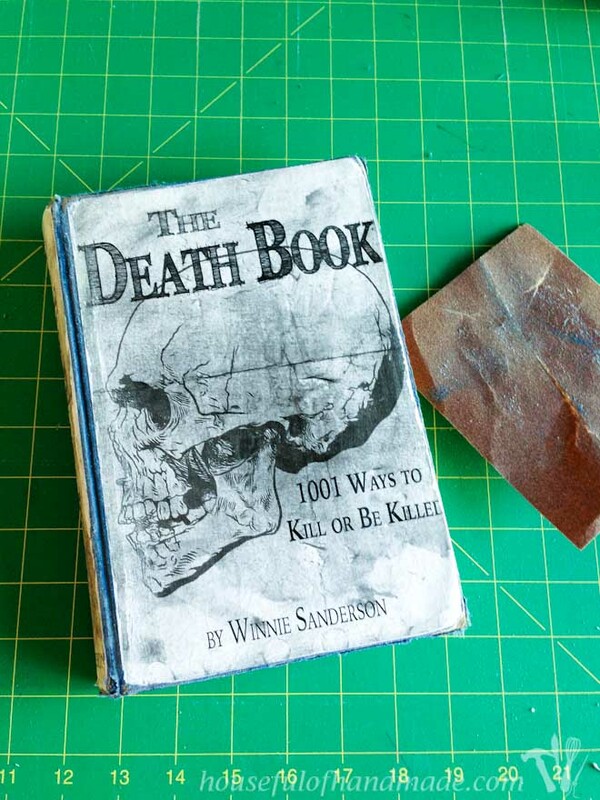 Using some Mod Podge, glue the cover to the front, spine and back of the book. Then use some medium grit sand paper to rough up the corners and edges a bit. Now it is ready to decorate with. 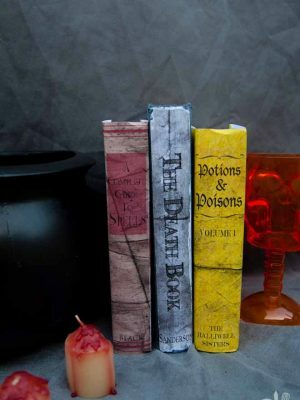 I’m so excited I now have three spooky books for my Halloween decor. I am thinking I will set up a witch’s lab vignette on my dining room console table. Oh man, I can’t wait to decorate the whole house! We are loving our new Halloween book covers. 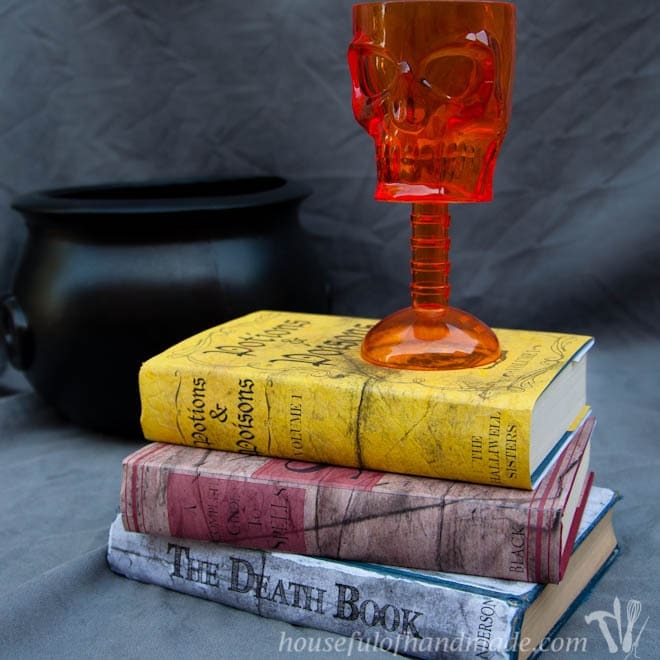 Don’t forget to check out all the rest of my Halloween tutorials for more fun Halloween decor. Hi Henriette, once you subscribe you should get an email with a password and link to the subscriber library. In the library you will have a link to download the book covers. Let me know if you didn’t get the email and I can resend. Ok now I am confused. In e-mail you said to use code to get the downloads. But everything I press sends me back to your post and it asks for me to sign up. How do I use the code in the e-mail? Or am I doing something wrong. Really love these book covers. So sorry about the confusion Judi! 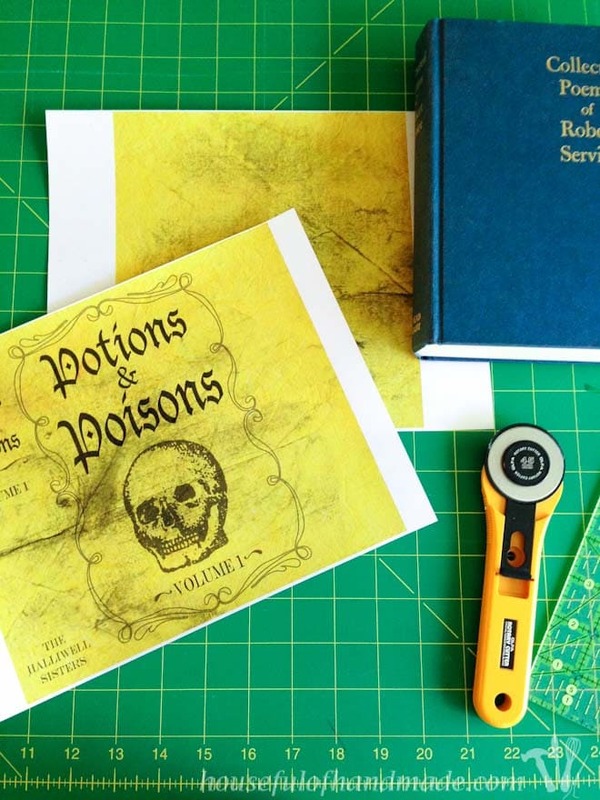 After you’ve signed up you will need to go to the link for the library of downloads to enter the password: https://housefulofhandmade.com/library-free-downloads/. If you click on the title of the post it will take you to the post (I wanted to make it easy for you to find the tutorial again after getting your downloads), but if you click on the smaller titles of the downloads below the title, so the 3 different names of the books in this case, it will download for you. Mine automatically download them to my downloads folder once I click the title of the book, nothing will open in the internet browser because the files are .zip because they are so large. You will need to unzip the downloaded files to open them. I am so happy you love the book covers, please let me know if you have any more issues. These are amazing!!!! I really my need this covers and somehow I can’t open the .zip 🙁 can someone please send them to my email? Alecg87@gmail.com thanks! Alex, the reason the files are zipped is because they are too big to email. You will need a program to un-compress the file once downloaded. There are lots of free ones out there like Winzip. When it’s unzipped you will have a folder with all the files for the covers inside it. Hopefully this helps you to get the files. I love this!! so dang cute! These are super awesome, and I giggled to myself when you said your son keeps trying to read them. Haha! I’m a teacher, so maybe I should do this with some textbooks in order to make them seem a bit more appealing. . . . Thank you for linking up with us and we hope to see you again really soon!! Thanks so much for the feature! I so happy you are loving the covers. Kati, those book covers are just awesome!! I am going to use them, thanks for sharing!! Oh those are great! I really like the affect of the one you attached directly to the book, but like the idea of being able to take them on and off books that I may want to leave out all year too. Thanks Alayna! I bought some old books so I don’t have to worry about taking the covers off, but I know my kids might destroy the removable one. Oh well, they are easy to print and assemble. 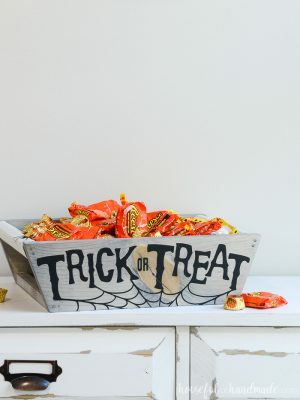 I’m not ready for anything Halloween but these are too cute to pass over! Thanks so much for sharing at the Best of the Weekend link party! Thanks so much Darlene! It was so much fun designing them. Thank you so much for sharing these at my Grandma Ideas Sharing Time link party. These are absolutely adorable! You are so creative. I’m going to print them up and use them at Halloween time. Love these book covers! What a fun idea. Happy Halloween! Very clever crafting project! Thanks for sharing with us at the Merry Monday party. Even if the sentence doesn’t make sense, I totally understood you! The mod podge one is great cause it’s all beat up and vintage looking, and the kids can’t really hurt it cause you know they will play with it! Love how quick this looks and what a cool touch it will add to my decorations this year. Pinned it! Thanks for the printable! Visiting from free and fun Friday. Ahhh these are amazing! Honestly they look better than similar stuff I’ve seen in stores! If you felt like it, I would love to have you come link them up at Free and Fun Friday at my blog if you felt like it… it goes live in about an hour. Thanks for the information. I will take a look. Tweeted them! And pinned! 🙂 AND put them on my Facebook, just for good measure, hehe! How spooky. They look authentic. Thanks Melinda! I really tried to make them look nice and old, I’m glad you think they look like that! I have actually never seen this done, I must be living under a rock! Haha I love these the turned out amazing! Ha ha! There is just so much information out there that I am sure it’s not hard to see something. I’m glad you like them, they are some of my favorite new Halloween decor! These are so cool! 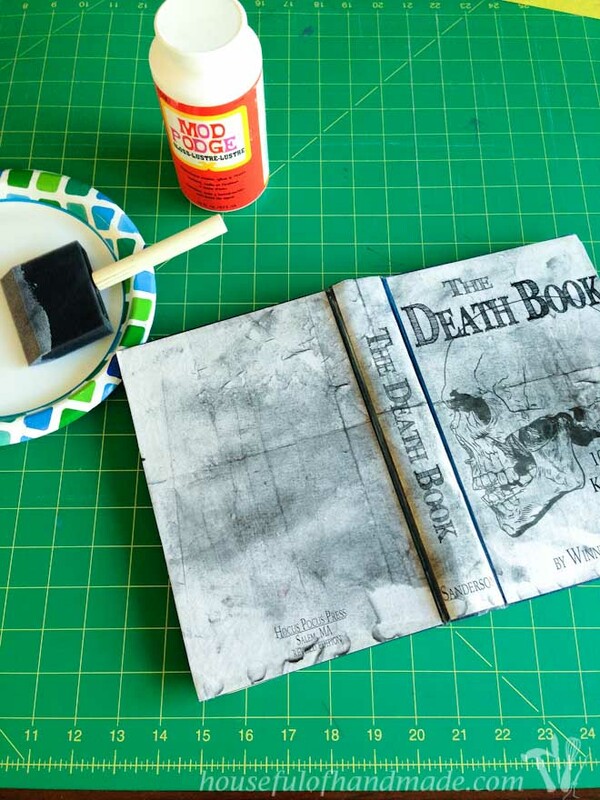 I love the mod podge one with the roughed up cover, so clever. I’m a huge Halloween nut and absolutely adore your book covers. 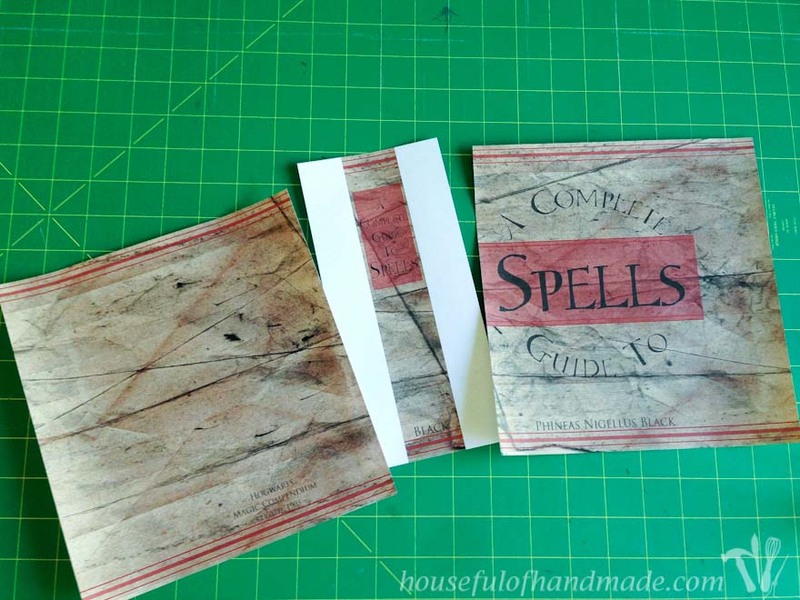 I’ve been meaning to make a spell book and never can seem to get around to it. Now I don’t have an excuse! Pinning this one! Thanks Jeanette! Once printed, these only take a few minutes so you can definitely fit them in.